Perhaps no other orchid surpasses the Cattleya in popularity amongst orchid fanciers around the world. 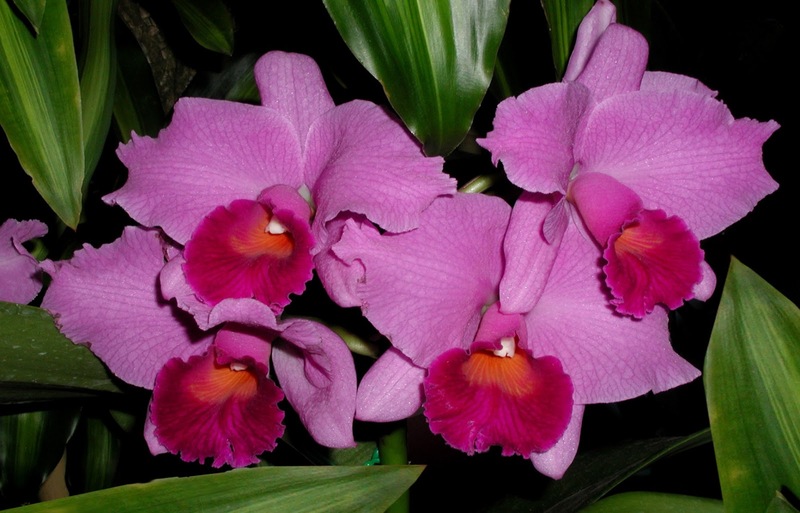 And it is the Cattleya which means "orchid" to the lay person, if they are asked to think about orchid types. It is the Cattleya which has been the mainspring of the orchid industry and it is the Cattleya which has done most to stimulate interest in orchid growing as a hobby. Cattleya is a genus of 113 species of orchids from Costa Rica and the Lesser Antilles south to Argentina. The genus was named in 1824 by John Lindley after William Cattley who received and was the first to bloom a specimen of Cattleya labiata. William Swainson had discovered the new plant in Pernambuco, Brazil, in 1817 and shipped to the Glasgow Botanic Gardens for identification. Swainson requested that a few plants be later sent to Cattley, who was able to bloom one a full year before the plants in Glasgow. These orchids are widely known for their large, showy flowers, and were used extensively in hybridisation for the cut-flower trade until the 1980s when pot plants became more popular. The flowers of the hybrids can vary in size from 5 cm to 15 cm or more. They occur in all colours except true blue and black. Many of these species and hybrids are very fragrant. The specimen below is a Cattleya mossiae hybrid and is fragrant. Very pretty! I love the colour! Great shot of these beauties! Oh - it's a very beautiful colour! I have always liked these "daffodil" orchids as I call them. :) These have a wonderful pink and fuchsia color. One of my favorite flowers to admire. Those are some stunners of orchids. Interesting and informative text, as always. These are so so beautiful! Have a beautiful weekend. It's a really stunning orchid, an excellent color! Congratulations to this lovely frame, very nice flowers !! what wonderful flowers, I love orchids, they are so beautiful and in so many forms and colors! A beautiful bloom... And interesting to read the history about this plant. What a symphony of different shades of pink! Gorgeous!!! What about Phalaenopsis? I always thought it was the most prominent of all orchids (I also have one and will be posting some pics soon). Thanks for hosting and have a great weekend! Very pretty! They remind me a little of a daffodil. Love the color!